Cook sausages in heated oiled large frying pan until cooked, slice lengthways. 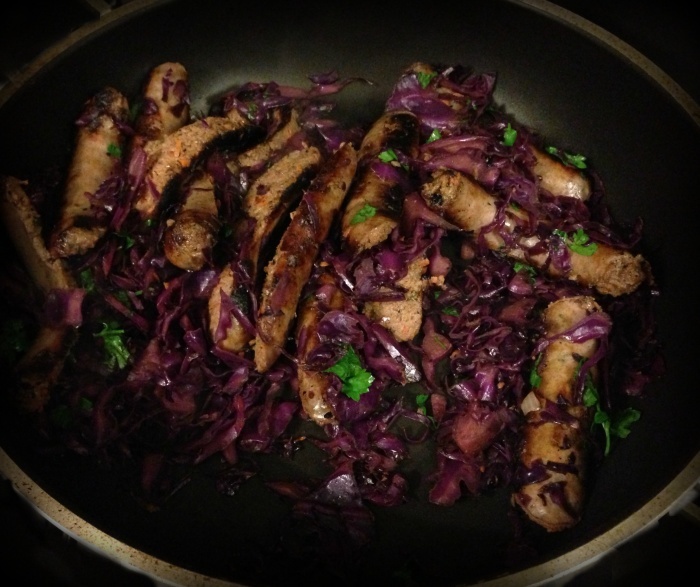 Cook red cabbage in pan, stirring, about 5 minutes or until softened. Add vinegar and sugar ; cook, stirring, about 10 minutes or until liquid evaporates. Return sausages to pan; cook, stirring, until heated through. Remove from heat; stir in parsley and season to taste.